I’m not 100% sure what’s up with these hanging rope lights (and I’m 100% sure I don’t want to know lol) but these bedrooms are some of the best examples of masculine interior design I’ve seen in a long time. And they’re certainly not limited to guys either, I would be totally happy in any of these rooms. 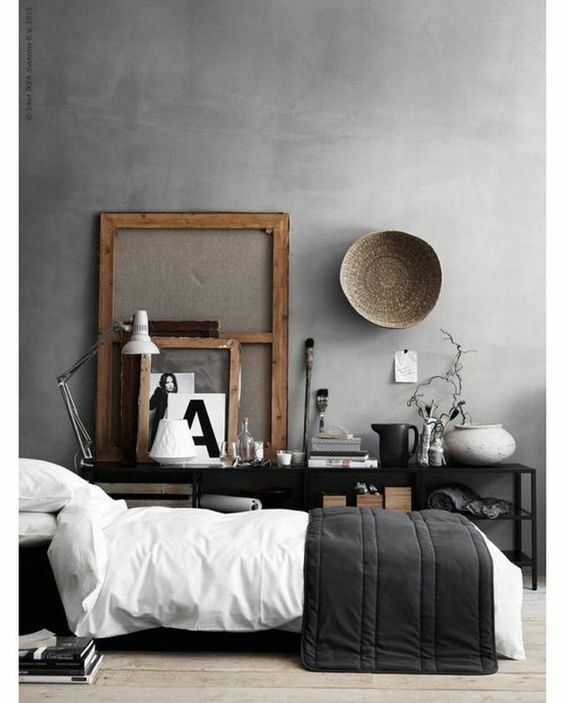 They’ve got all my fave elements: dark walls, graphic art, a hot guy in the bed (JUST kidding!). I love my husband so much and there’s no one else I want in my bed lol). Anyway, just a little edgy design to brighten up your day!